The barbecue renaissance continues in St. Louis. When we last ranked our best barbecue joints, only five made the cut. This time around, we found seven worthy of consideration -- four holdovers from last time and three newcomers. The sheer size of Hendricks (17,000 square feet and slated to be a live-music venue and moonshine distillery, to boot) might be overwhelming, but pitmaster Matt Vanderbeck makes sure the focus is squarely on the food. Barbecue, smoked over apple and hickory wood, includes baby-back and St. Louis-cut spare ribs, beef brisket, pulled pork, turkey and sausage. If you like sauce, Hendricks' "STL" is your best bet: complex, with just a little heat. Collard greens with bacon and grits with cheddar cheese are the can't-miss sides. Lil' Mickey's offers few frills in its small St. Peters space (a repurposed Taco Bell). 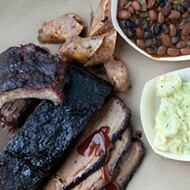 But no frills are necessary: The proof is in the 'cue, dry-rubbed and smoked over hickory wood. The lineup's what you'd expect -- pork shoulder and ribs, beef brisket, chicken, turkey breast. 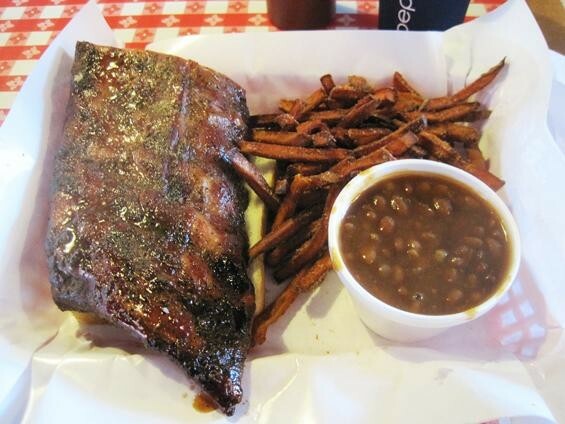 The ribs and pulled pork are excellent, tender, with a pure flavor of pig and smoke. But be sure to try the chopped beef brisket and the chicken, both tenderer, not to mention tastier, than smoking often renders them. The restaurant's signature sauce is topnotch: molasses-sweet with a piquant vinegar note and a slowly building heat. Pappy's Smokehouse won "Best Barbecue" for three straight years after it opened, and only the new venture from its own pitmaster, Skip Steele, could knock it off its top perch. Instantly beloved upon its debut in 2008, the ever longer lines and increased celebrity haven't dimmed its star in the ensuing years. Every time you return for a bite of the ribs (our favorite) or any of the other meats smoked over apple or cherry woods, you have that rarest of sensations: It's even better than you remembered -- and dreamed. Want access to our Best Of picks from your smartphone? Download our free Best Of app for the iPhone or Android phone from the App Store or Google Play. 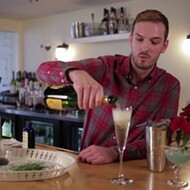 Don't forget to check out the full Best of St. Louis® online at bestof.voiceplaces.com/st-louis.